Pulsair’s Crush Cart wine tank mixer is a new 2016 Pulsair wine production mobile cart that allows winemakers to further streamline their wine cap management process even more. 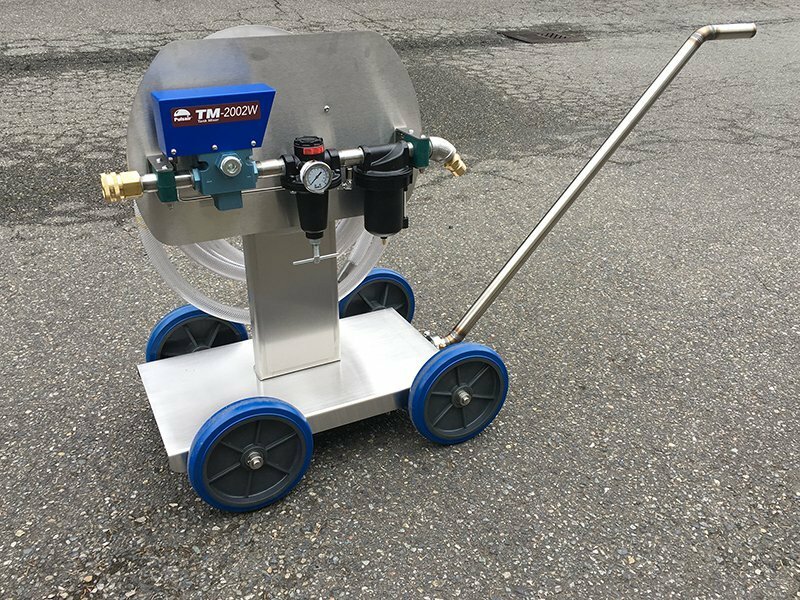 By mounting the powerful TM-2002W on a stainless steel mobile car with hose reels, the winemaker can quickly move from tank to tank and turn the caps quickly and gently with Pulsair’s well adopted cap management process. Open-top and side racking port probes are available depending on the tank setup. The Pulsair Crush Cart is designed to fill the red wine cap management needs of small and mid-size wineries. [grid_right]“The Pulsair mixing tank system and Crush Cart have been great for quality and logistics here in the cellar. Mixing fermentations with the system is more efficient and sanitary than a pumpover and gives the yeast some valuable oxygen and a thorough mixing. The recent addition of the Crush Cart has made it even more effective in our cellar.”.